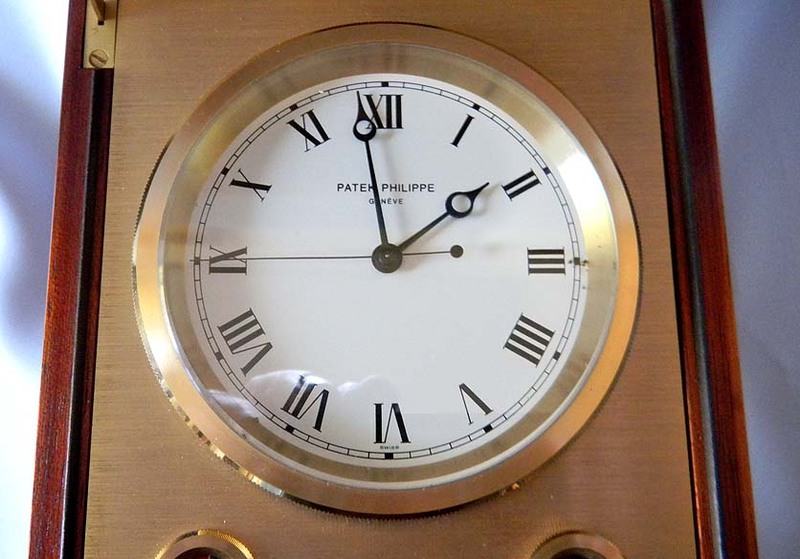 Fine Patek Philippe Naviquartz Chronometer circa 1970. 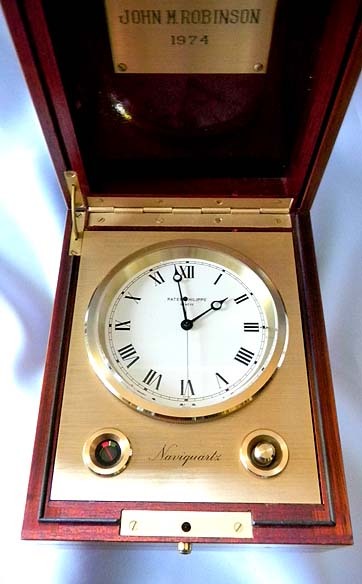 Very fine mahogany quartz-controlled mechanical chronometer with jump center-seconds and battery power-reserve indicator. 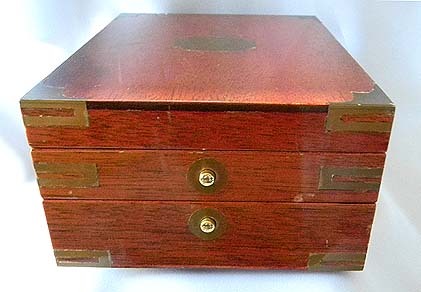 Traditional marine chronometer style three-tier brass bound box. Bold white dial with black hands. 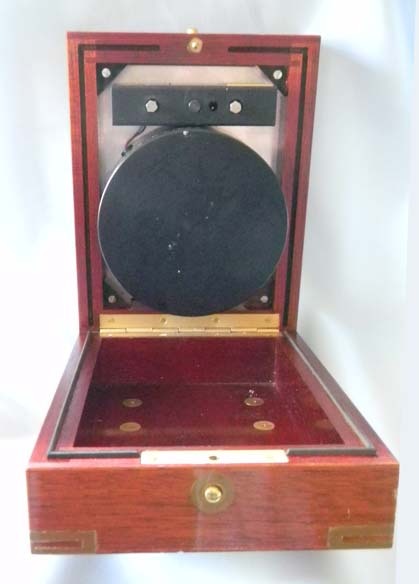 Two apertures bellow on the brushed brass dial plate for the button activating the battery reserve indicator and the indicator to the left.